Disclaimer: This offer can’t be combined with any other promotion or program. Federal and provincial taxes will be calculated on the selling price before the rebate. Offer valid only in Canada from March 23 to May 20, 2018. Purchases outside these dates won’t be honored. All claims must be postmarked or received on or before June 18, 2018, and include a copy of your invoice. 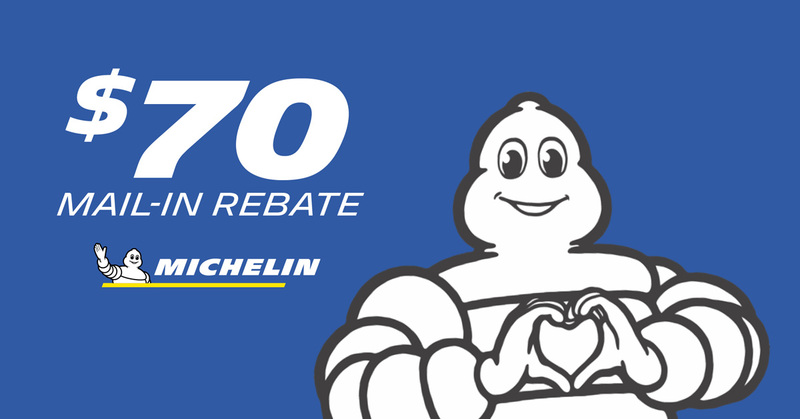 Only MICHELIN® passenger or light truck tires are eligible. Please allow 6-8 weeks to receive your mail-in rebate. For any information regarding the mail-in offer, please call 1-866-755-8887.